Paddleball is still a fairly new sport in Spain, but has grown in popularity so rapidly that it has become one of the preferred activities of young Spaniards. 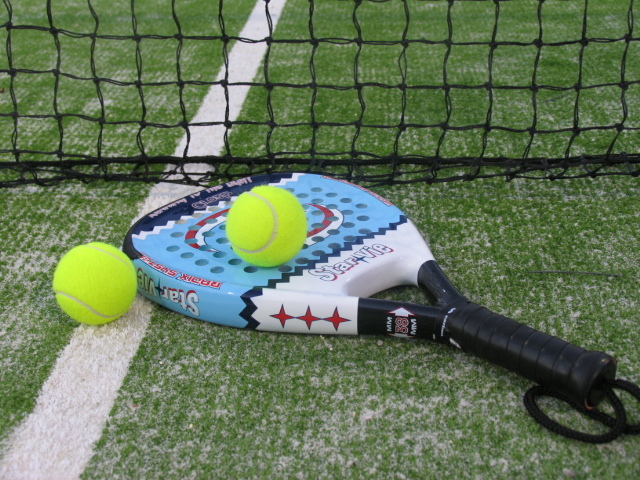 Students will receive paddleball lessons at Marbella's El Casco tennis club. Campers will benefit from plenty of personal attention, as the maximum number of students per class is 4. Students who sign up for summer camp paddleball lessons may not always be able to participate in all of the other camp activities due to periodic overlapping schedules. You can't always do it all! We encourage and advise parents to register their child(ren) in the paddleball program as soon as possible, as program spots are limited. 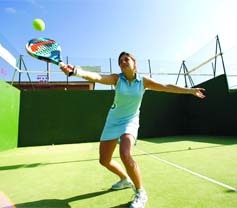 Summer camp paddleball lessons as an optional sport require an additional fee of 169€ per two-week period. Campers who sign up for the sports camp will not participate in morning language classes as that is when they will have their paddleball lessons.